This is something I’ve been wanting to write about for some time after shooting a project earlier this year and having a discussion about video resolutions as they pertain to social media. Do you need to shoot 4K and down scale footage? In some cases yes and no. I think it depends on the device, the subject / scene, and your audience. 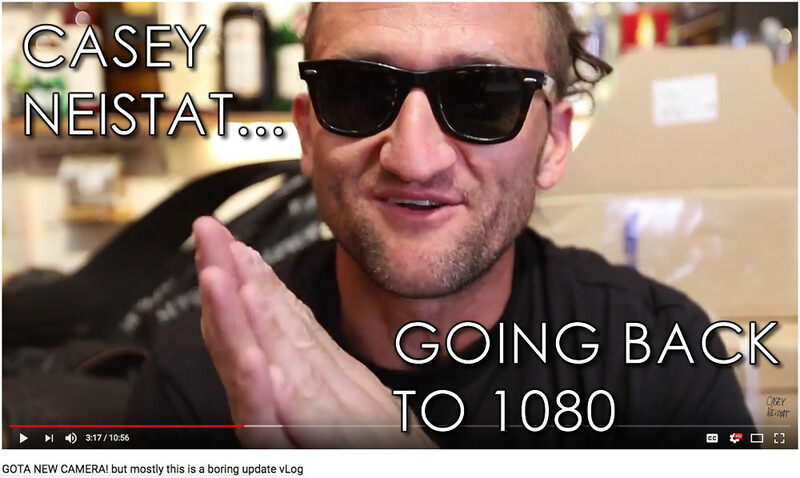 Interestingly, YouTube superstar Casey Neistat just announced he was going back to shooting 1080P for more cinematic videos and shallow depth of field. I found that odd as you can still get shallow depth of field with 4K too. 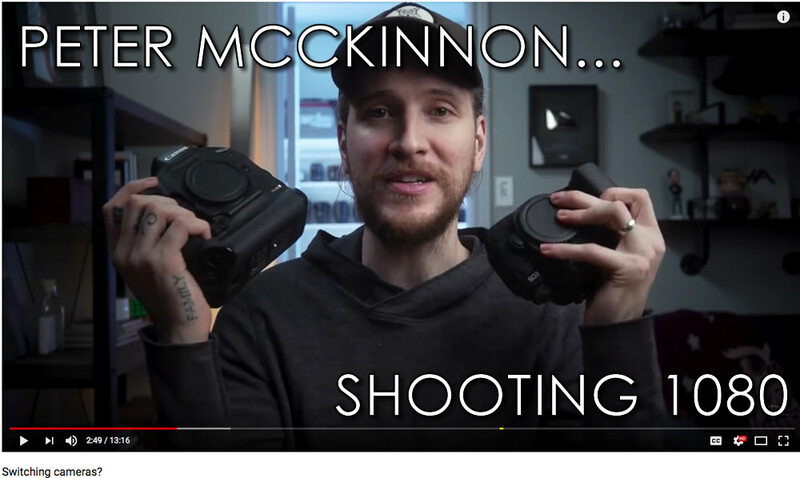 Another YouTube superstar Peter McKinnon announced he might possibly be switching cameras to the (Canon 6D Mark II) a full-frame little brother to the 5D line up which only shoots 1080P. So why would YouTube stars want to shoot 1080P vs 4K? Time is money and something that many people still don’t get. Sure 4K is killer, but storage is expensive, and honestly, computers are not up to the task of quickly processing 4K footage at near the rate you can process / render 1080P video footage. Processing 4K footage takes a tremendous amount of time. Another main consideration is the audience. If you your audience is consuming video on mobile devices 4K is overkill and even 1080P can be overkill. Consider as recently as January 2017, Comcast announced they were rolling back to 720P delivery of video content. For more articles on Comcast downgrading 1080i to 720p click link. Based on these numbers, Over 2.5 billion videos are consumed on mobile devices each day. Interestingly, with 80% of YouTube views coming from outside the US, bandwidth becomes an issue for video quality. I’m sure when Casey Neistat, Peter McKinnon and other notable YouTubers, stats on video quality also played a role in the decision to move predominantly to 1080P format. When you look at social media numbers content / video consumption can be as high as 80% on mobile devices vs. desktop. The need for content creators to shoot and produce 4k video footage is minimal at best. Sure you can make the argument for future proofing your footage, but at what cost? One last thing worth mentioning is bandwidth which seems to often be overlooked. Playing back 4K footage and even 1080P footage can stall your PC or mobile device if you don’t have a fast Internet connection…another assumption we make. Not everyone has high speed Internet. Wifi connections on mobile devices can be spotty at best.